Medline's reservoirs are used to collect the exudate removed from the patient via drains for effective post-operative recovery. A reservoir provides both continuous suction pressure and a receptacle for fluid collection. Made of clear graduated silicone walls, the reservoirs easily activate suction and make it easy to identify the exudate. The universal hanger is included for attachment to a bed or wheelchair for increased mobility. The patient port is made with an internal anti-reflux valve to help prevent the backflow of fluid into the patient. 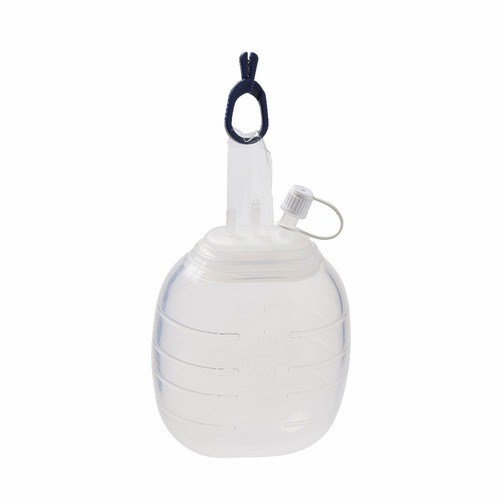 The disposable port includes a screw cap to help securely close the bulb and the threaded outlet port connects directly to a disposal bag for safe disposal of the exudate. Medline is your partner of choice.